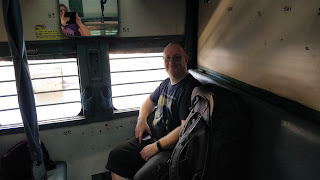 We travelled down by train from Vasco over 2 short journeys, with a quick change at Madgaon. 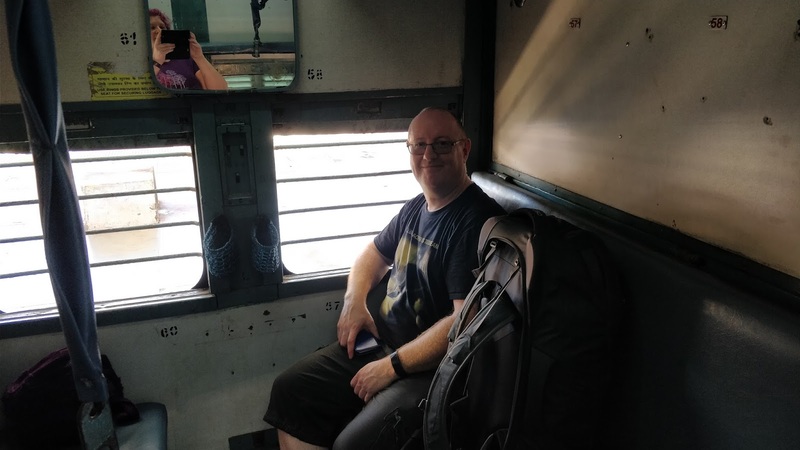 Our first experience of Indian railways was an interesting one, with trying to figure out the platform we needed to be on, to all the produce being touted by lots of locals on the trains which included Masala Chai, Samosas and Omelettes. 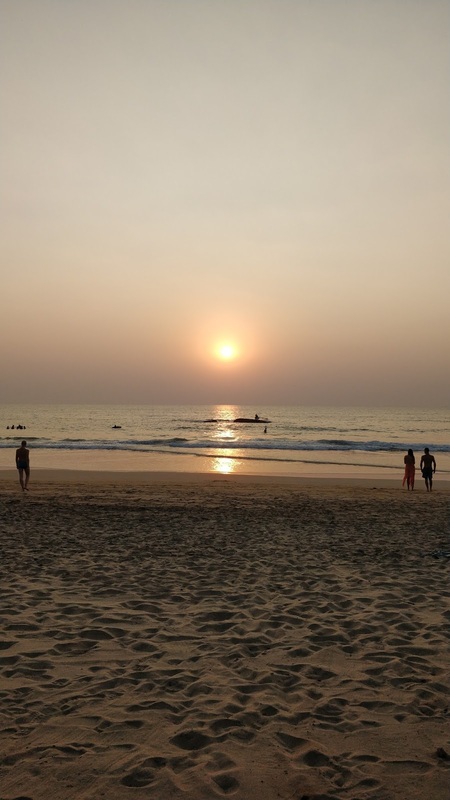 Our first proper stop at a resort was in Agonda, which is South Goa. We had booked 4 nights here as a relaxing start to our holiday, and we couldn’t have picked a better place. 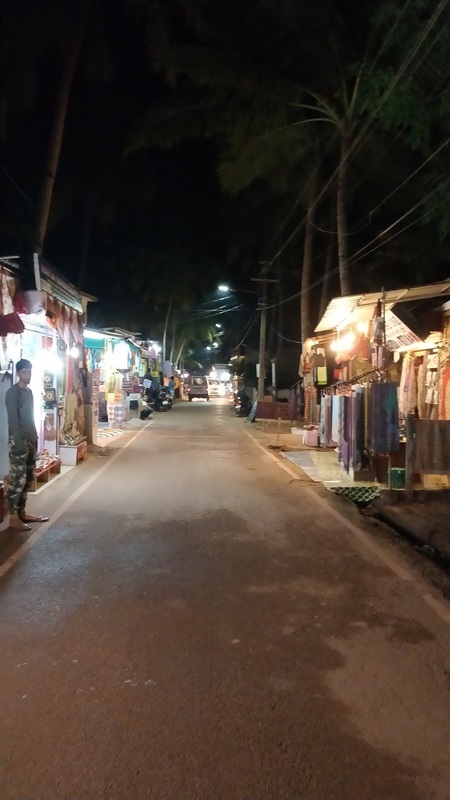 From arriving in a Tuk Tuk from the local station, the place captured our hearts with the small winding lane leading onto a small road running parallel with the beach right down the centre of the sleepy town which was just lined with local traders, bars and guest houses. Our guest house was called Fatimas and was on the main road, a 50-yard walk from the beach and it had its own bar/restaurant attached too. It was a lovely place to stay, clean room, air-con and friendly staff made it an enjoyable few days there, although the wi-fi was playing up a bit. 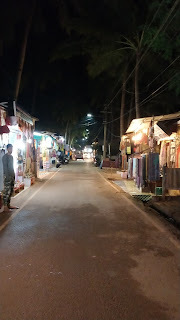 Over the few days we had in Agonda, we made a bar across from us on the beach called Jojolapa our ‘local’ with friendly/funny staff, good cocktails, lovely food and we even managed to get some travel advise from one of the Nepalese waiting staff for when we visit there next month. 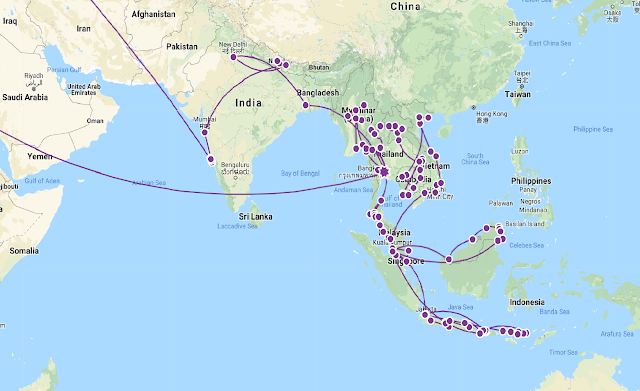 We ate in different places for every meal, trying a variety of breakfasts from English to Israeli and of course Indian. In the evenings we had mainly Indian/Goan food which were delicious, but I did also try a Greek dish one night which was lovely too. 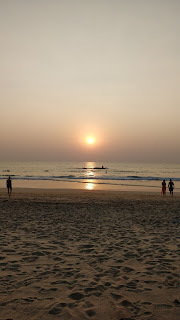 Decided to have an evening in Palolem which is the next resort down and a much livelier resort. Getting there for sunset, we had a few drinks and then went to a place called Bar Bamboo for dinner where I had Pomfret Recheado and Sadie had Shark Ambotik which were both amazing. We befriended a waiter in one bar we went to, and as that bar didn’t take card, he took us along to another bar where he got a little drunk and decided to video call his wife back home which didn’t go down well. 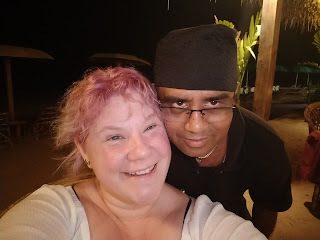 We did think about going to the local Silent Headphone disco which is the main thing on a Saturday night there, but with limited rupees on us, we decided to not bother. Around midnight it was time to call it a night, so grabbing the only Tuk Tuk we could see back to Agonda, we then stumbled into a local bar which was the only place open and met some crazy Czech people and then it all got a little blurry heading back to bed around 3am!